Anyway, Nendoroid Petite: Macross Heroines was last seen in the recent Summer WonFes, and the set is now available for pre-order. Macross heroines through the ages! As you can read in the official description, this set will consist of Lynn Minmay, Sharon Apple, Mylene Jenius, Sara Nome, Ranka Lee, Sheryl Nome and one secret character. Each Petite will be priced at 600 Yen each, but you can opt for a box of 8 Petites (6 + 1 secret + 1 duplicate) as usual. 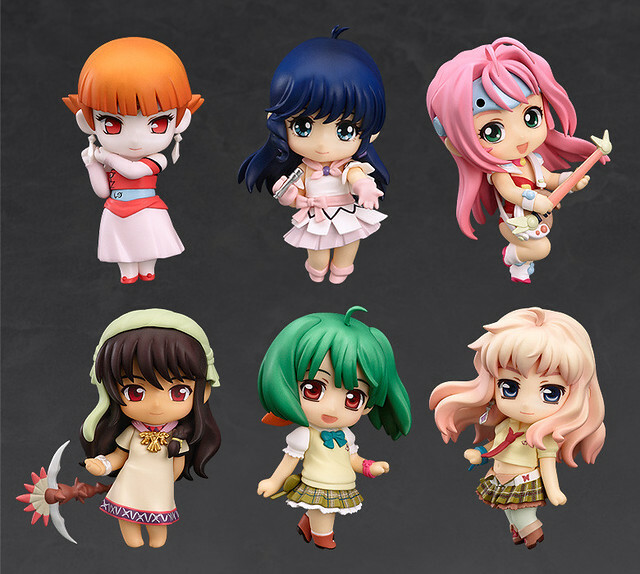 Nendoroid Petite: Macross Heroines will be released on December. This entry was posted in News and tagged macross, macross frontier, nendoroid, petite.